The second half of 2018 proved to be a rather wild ride with several visits to more exotic countries such as Northern Honshu / Japan in August and September 2018 and Tajikistan in the second half of December (thats why I am late with this update). 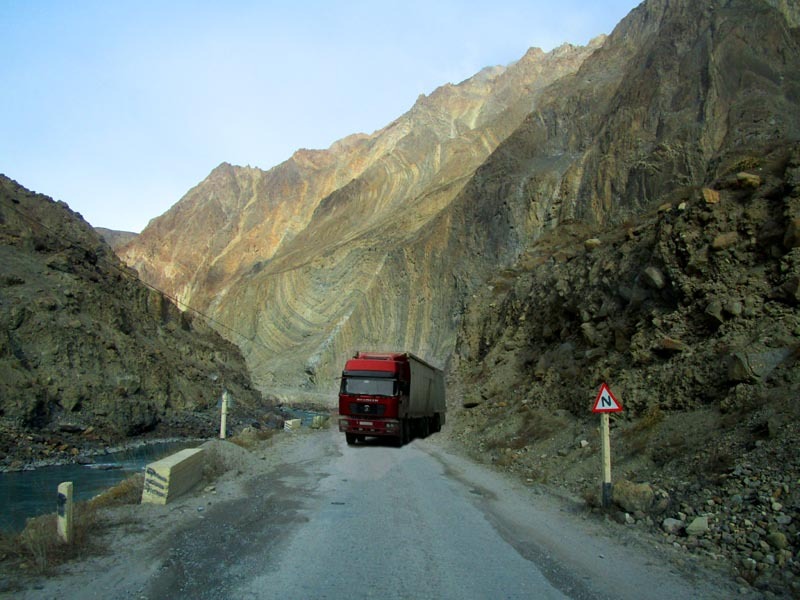 In Tajikistan we travelled on the famous Pamir Highway, reaching a record altitude of 4300 meter ! Please find below a few impressions of this remarkable journey. Talking of our Japan voyage, one of the most interesting highlights was travelling to the unique volcano caldera of Osorezan in Northern Honshu, where you can study the recent formation of a rich gold deposit in a buddhistic monastery setting. Please have a look at our photo report about this most interesting place, which you can find in our publication section or more directly here. We also updated and extended our paper "Volcanic Emissions - Neglected Geohazards for our Energy Supply" see here - and updated Horst Bittners mining newsletters up to the end of 2018. Please look here and enjoy the reading. 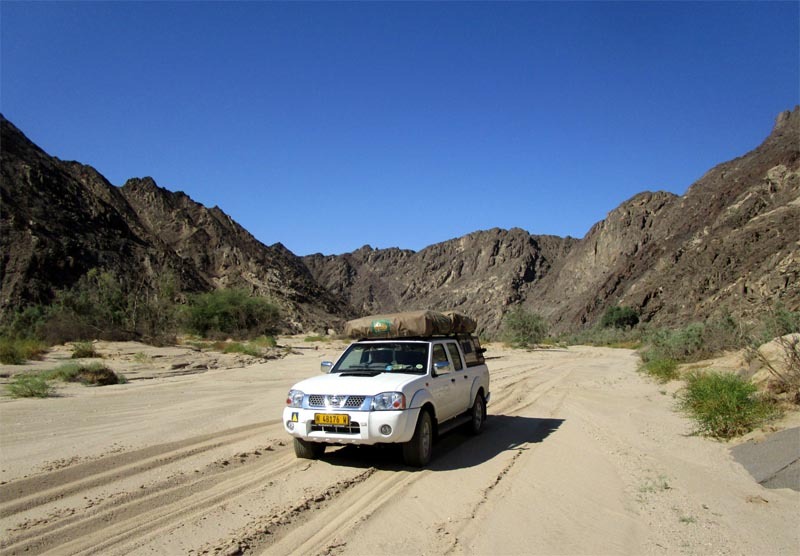 I am just coming back from my most recent travel to Namibia. which was centred on target generation of new projects and included a visit of some mines and mineral deposits I havent seen for some years. As it turned out many of the "old mines" in the Matchless Belt : Matchless and Otjihase; as well as in the Otavi Bergland : Tsumeb, Tsumeb - West, Kombat, Tschudi; are currently closed / on stand by and not working. Also some of the new uranium mines in the Swakopmund - Namib area such as Trekkopje and Langer Heinrich have been mothballed due to depressed uranium prices. 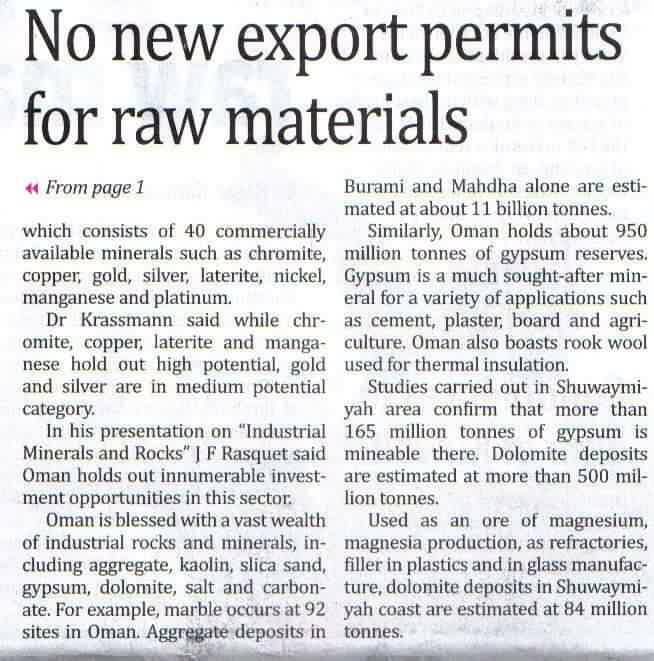 Maybe this is a good thing rather, as uranium mining and the extensive tourism in the Swakopmund area do not fit together very well. Only Rössing mine and the new Husab mine are currently active. The following map gives an overview about the major active mines in Namibia, as of 2018. 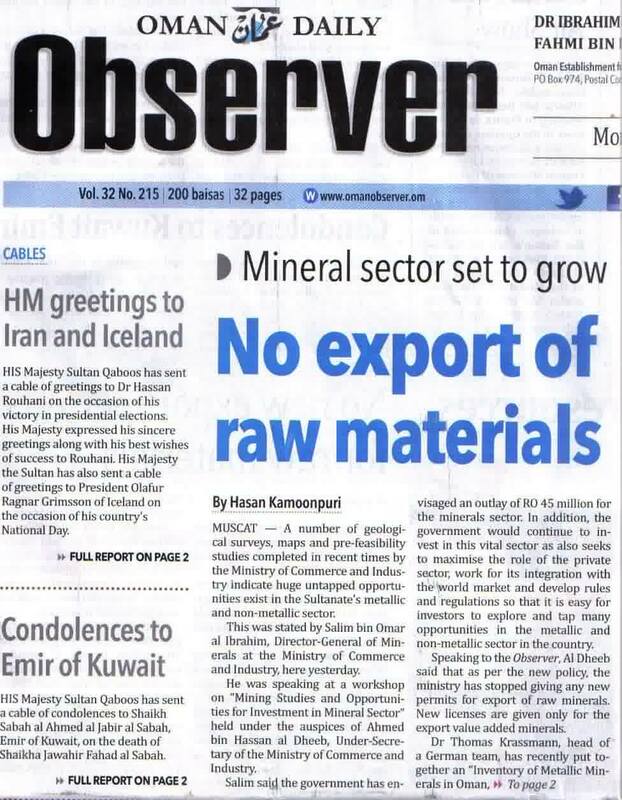 However, exploration of new mineral deposits remains high in Namibia and we expect some reopenings of formerly active mines such as Namib Lead Zinc mine and the Okoruso Fluorspar Mine in the near future. And there are even some more completely new mine developments in the pipeline. 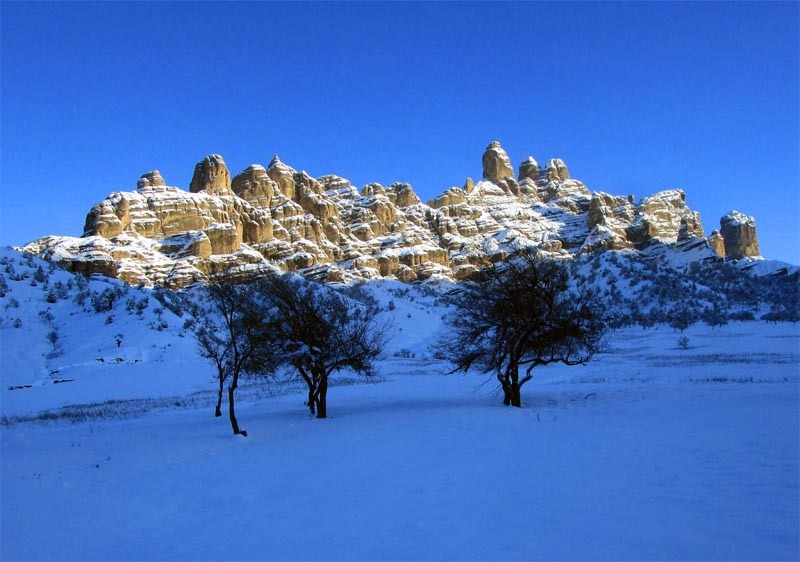 which have been used as astronauts training ground for the lunar landings. We have also updated our List of References and the Archive of the Mining Newsletter written by von Horst Bittner. Welcome in the meteorological spring of 2018...as the "Beast from the East" brings record cold, snow and wind chills all over Europe. Where is global warming when we need it...? 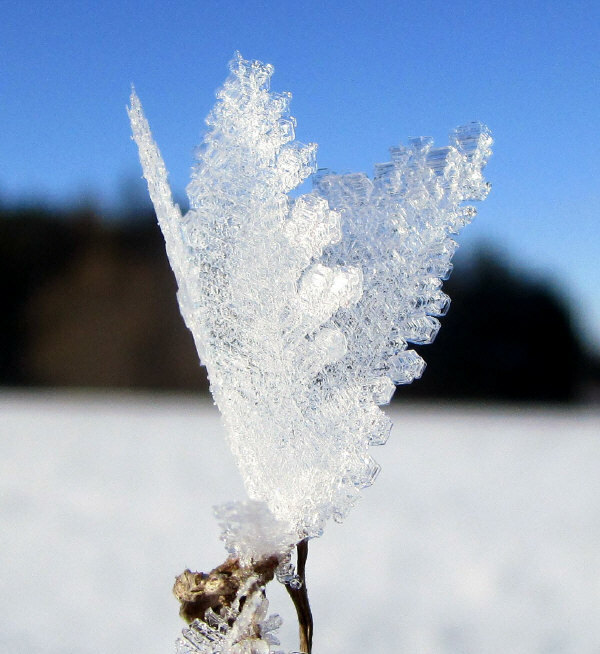 But the cold has its beauty too, as you can see in this hoar frost image taken close to Bad Windsheim in Franconia. 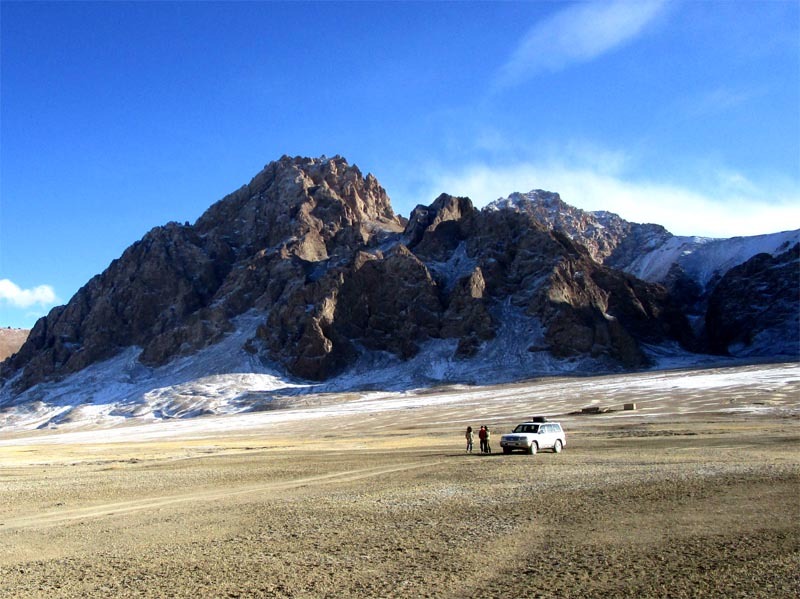 A number of mineral related projects has kept me busy during the last three months, so I am somewhat late updating this website with some stunning short publications from the Giant Crystal Project (go and google if you dare) I founded back in 2005. 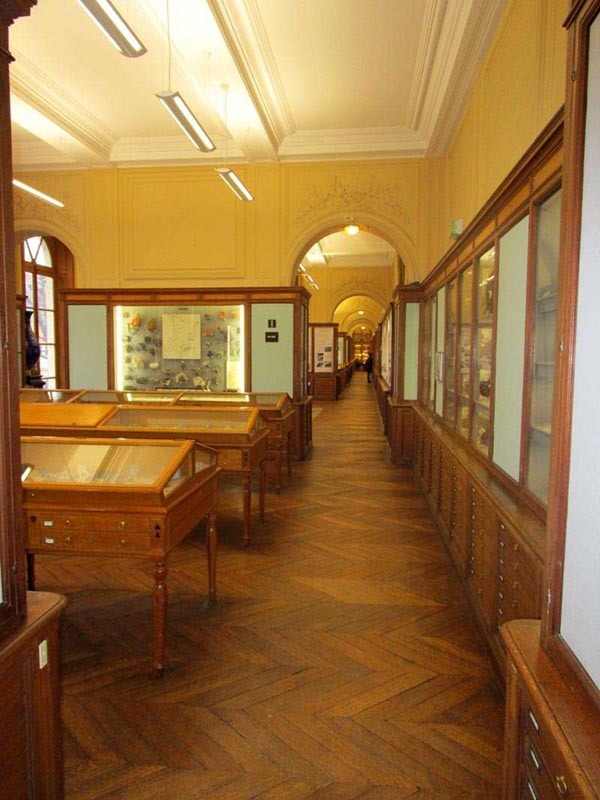 Please enjoy the crystal images and publications, which you can access here. We also updated the always expertly written mining newsletters by our collegue Horst Bittner, which you can find here. As always we wish you enjoyable reading and appreciate any questions and feedback from you. 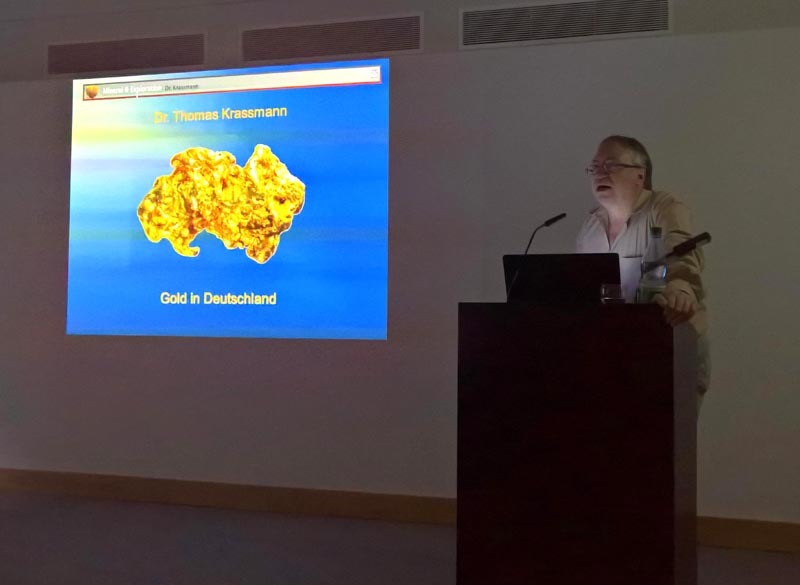 In the last weeks I was invited to speak about gold deposits and gold mining in Germany at the Munich university, the Geozentrum Windisch- Eschenbach and at the Hessischen Landesmuseum in Darmstadt. Here are some images. Talking about german gold deposits. 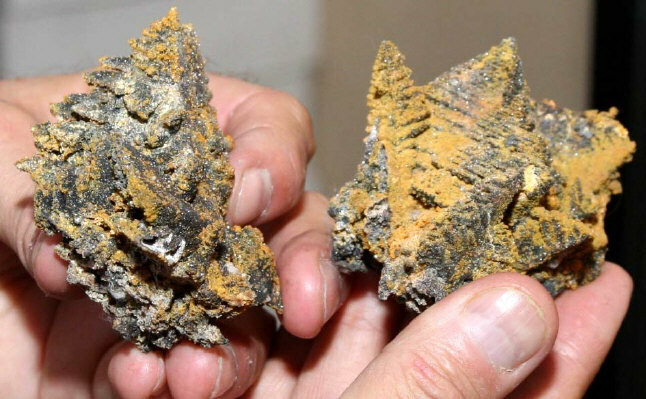 More information about gold deposits and former gold mining in Germany can be found on this website here. Or please do not hesitate to contact us directly with your queries. I just got back from a geological trip through Scotland with its spectacular landscapes and sceneries. We managed to visit some outstanding geological and mineralogical sites like Fingals Cave on Staffa island, Iona, the famous lead mines of Leadhills - Wanlockhead, the new Cononish gold mine, the unigue Lochaline underground silica mine and the barite deposits of Strontian, where the metal strontium was first discovered. 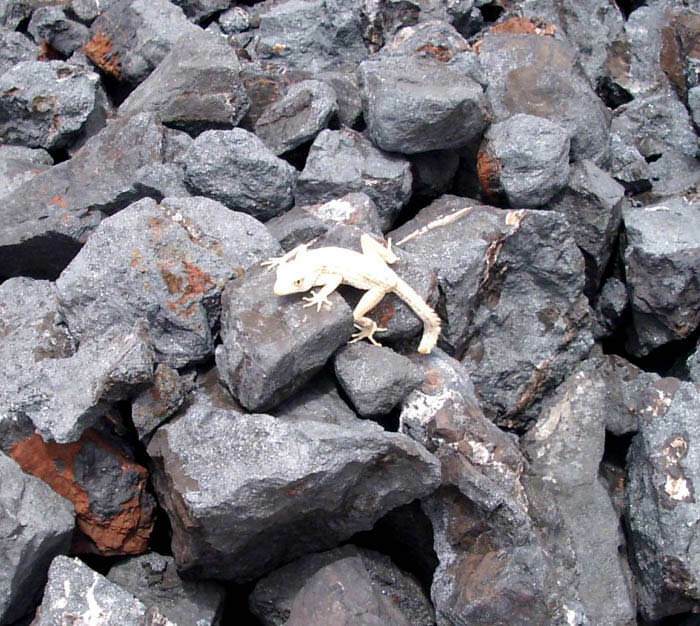 I wrote some reviews on new german geological and mineralogical books about lignite mining in Germany and UV - minerals recently. Please feel free to switch to our german site to read the reviews. Spring have arrived in Bavaria - though a late cold spell have also arrived just at the Easter weekend with a fair bit of snow - and its time for an Easter update. 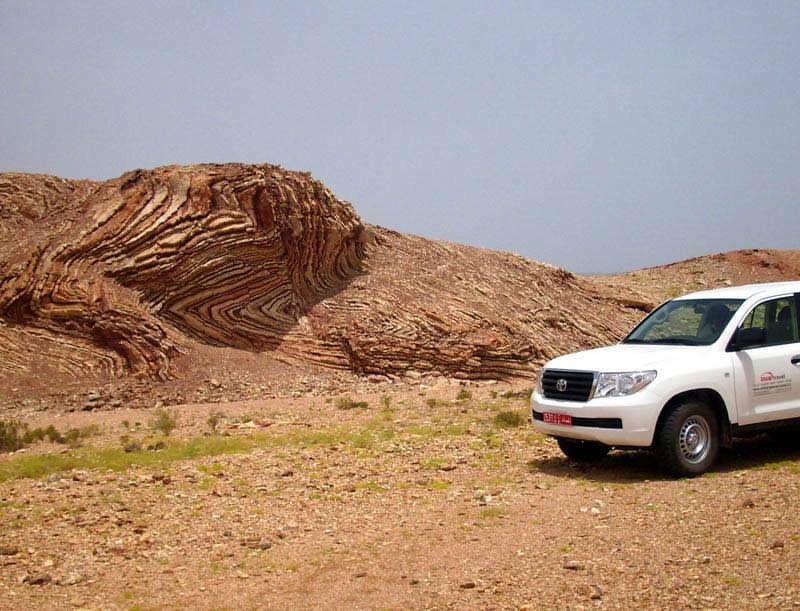 The first quarter of 2017 was filled with research on the mineral potential of Armenia, Tadjikistan, Turkmenistan and Uzbekistan, followed by work on gypsum deposits on the Arabian peninsula. Initial results of the Ruhr Zinc Project. Please click image to get a larger pdf - file. 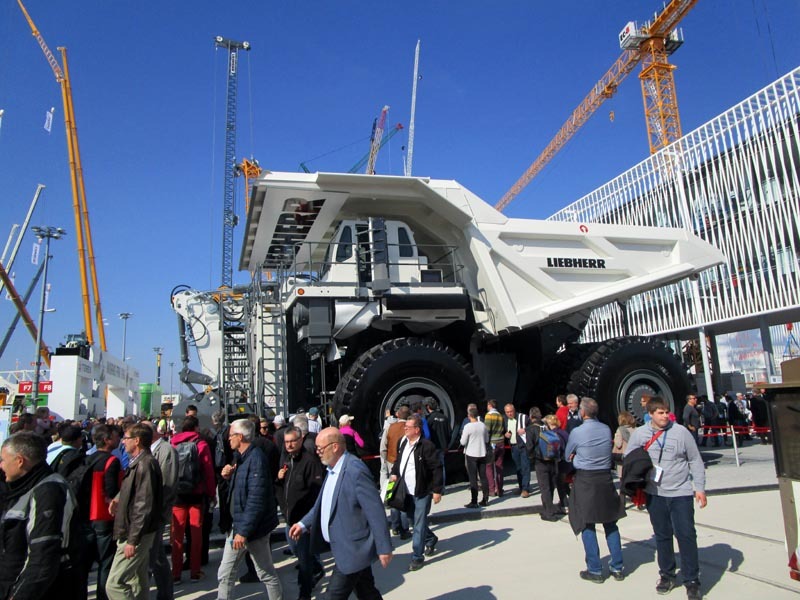 Again we updated our mining newsletter - courtesy of Horst Bittner - and you can find many recent news about german and international mining topics in these newsletters. Please click here for access. This year we spent the Easter days at home in Franconia. What a beauty Franconia is, especially if you just return from a trip to the desert ! 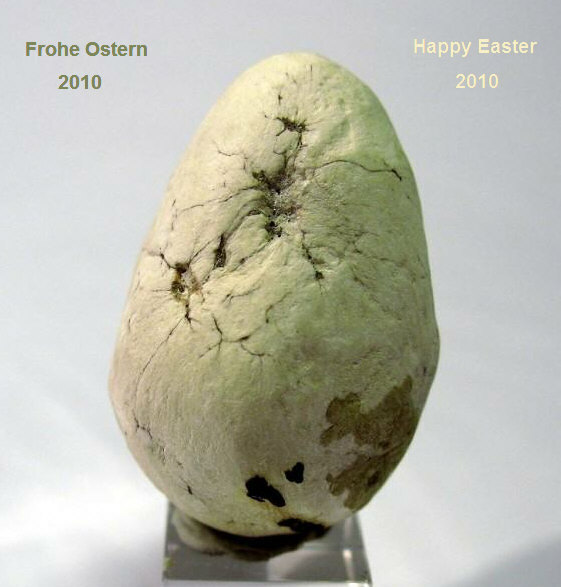 Have a look at this lovely decorated "Osterkrone" - Franconian Easter decoration placed on the local market squares, this one from Diepersdorf near Nuremberg. We wish all our customers and friends a most pleasant springtime 2017 ! January, 9th 2017 : Happy New Year 2017! We wish you all the best for the New Year 2017 : health, personal success and a peaceful 2017 ! 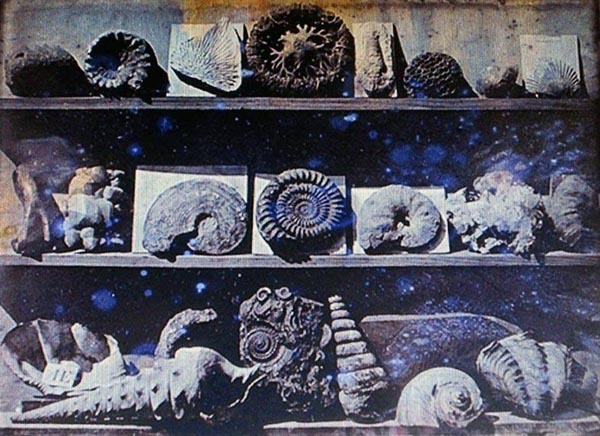 Again we have published a new geo-themed calendar for your enjoyment. 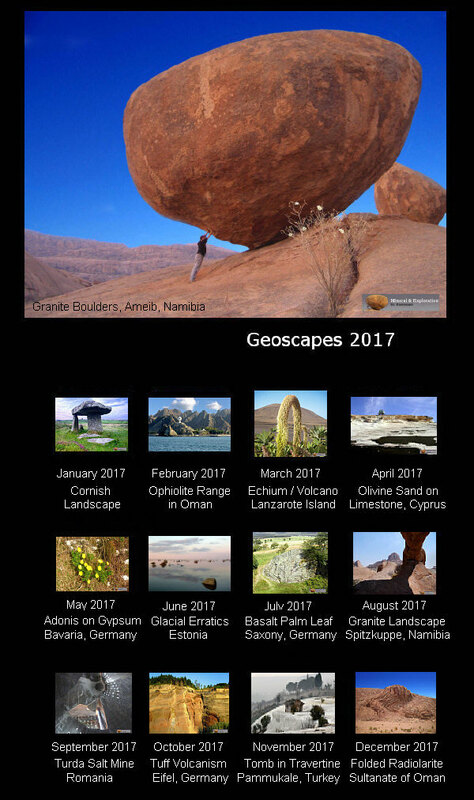 Please visit our new Desktop Calendar Geoscapes 2017, more details of which you can find here. Any of the selected thirteen (title + 12 months)images can be downloaded as desktop background / wallpaper to your computer and used freely and free of charge. Please dont hesitate to share any of the images with your friends and colleagues. We appreciate your feedback, which you can send us here. Enjoy the images ! 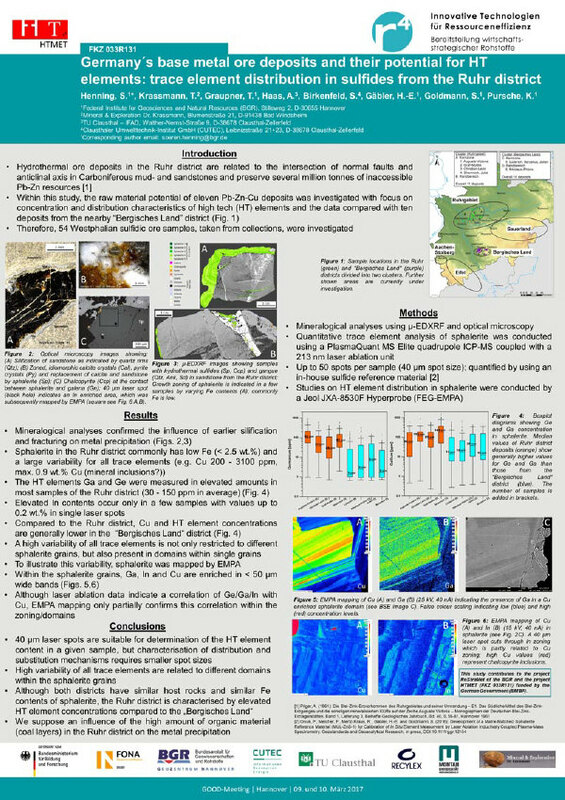 The second half of 2016 brought some new interesting projects, such as a detailed survey on lead - zinc mineralization in the Ruhrgebiet, Northern Germany. 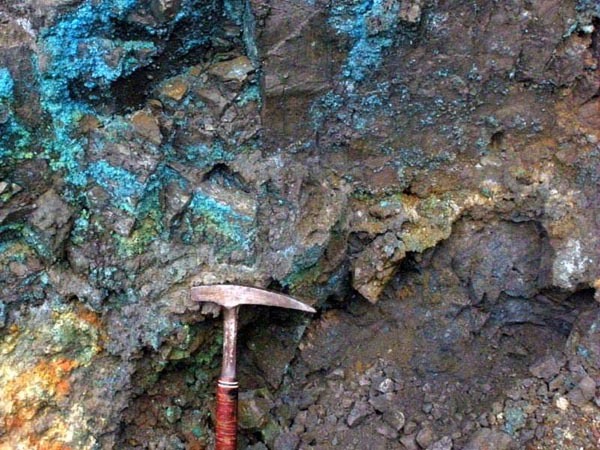 While the Ruhrgebiet is famous for its coal mining industry, a number of little known, but economically important lead - zinc vein mineralisation are present in this area as well. During ore microcopy work we came across some truly aesthetic sections, such as the sphalerite replacement ore shown above. We updated the Mining Newsletter section and you can now read and freely download these newsletters up to the 40th week of 2016. 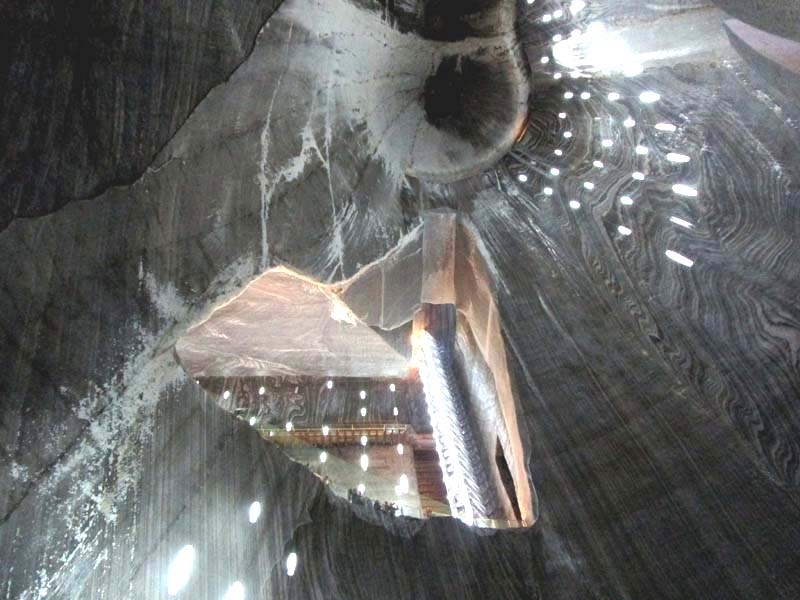 There are also two new publications available : A short field trip guide covering copper and gold mining in the Kitzbühel and Rauris / Gastein valleys in Northern Austria and a photo report about the truly breathtaking Turda Salt Mine in Western Romania, we visited in August of 2016. Currently we are in the process to update our publications and add english summaries to all of them. So please feel free to check back often in the coming weeks for a lot of updated papers of ours. In the last months we had the opportunity to take a closer look into a huntite deposit in Western Turkey. 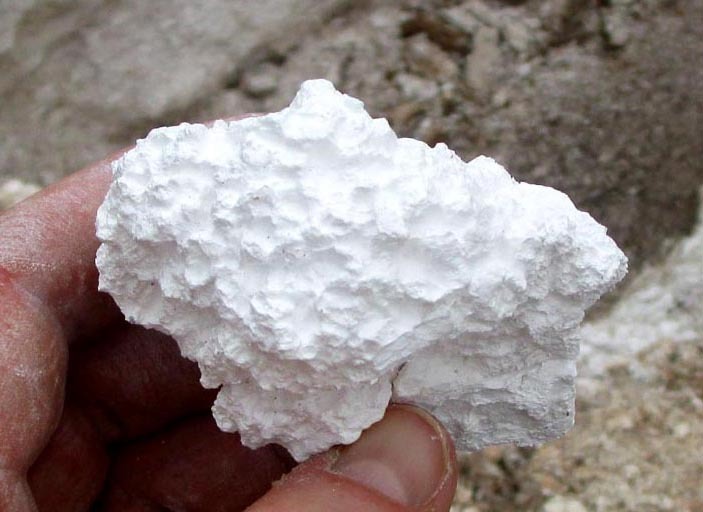 Huntite is a little known carbonate mineral, which due to its extremely whiteness and light weight is used as a high quality flame retardant filler in plastics and rubbers. Luckliy I was also able to visit the famous thermal sinter terraces of Pammukkale once again, this time in rainy weather. 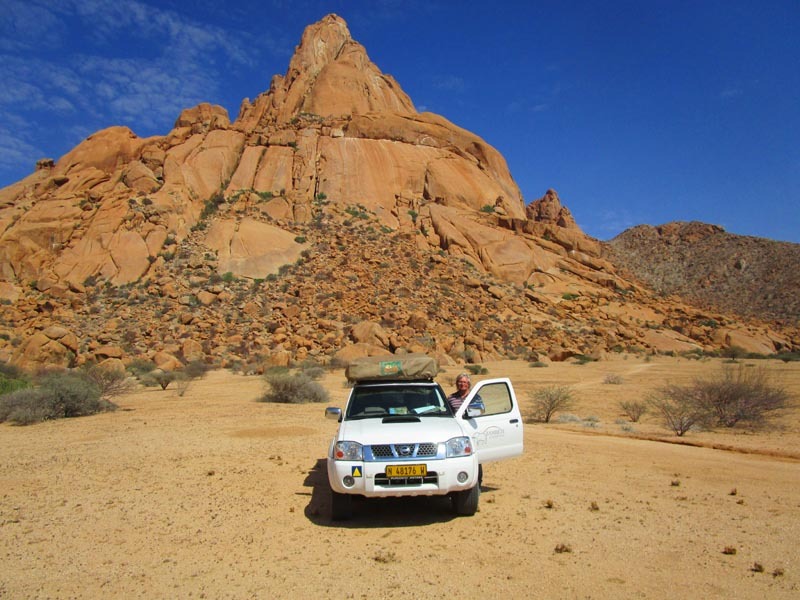 Other projects in the first half of 2016 included a desk top study about talc potential in Africa as well as looking for sphalerite (zinc sulphide) samples for detailed assaying in the Ruhr Area. 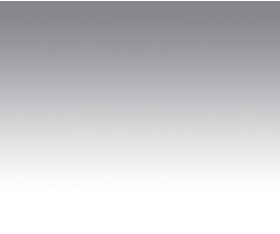 For more information about huntite, talc and lead - zinc ores in the german Ruhrgebiet please feel free to contact us here. 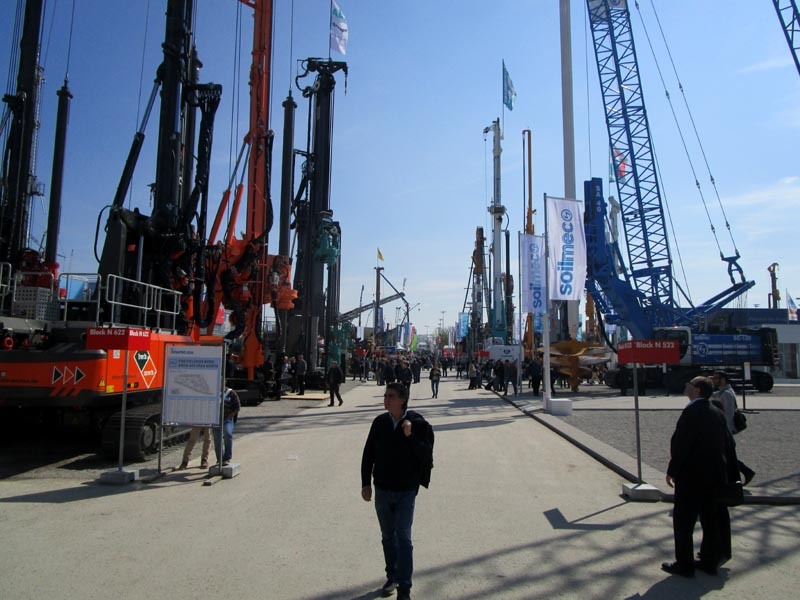 Its BAUMA 2016 time. 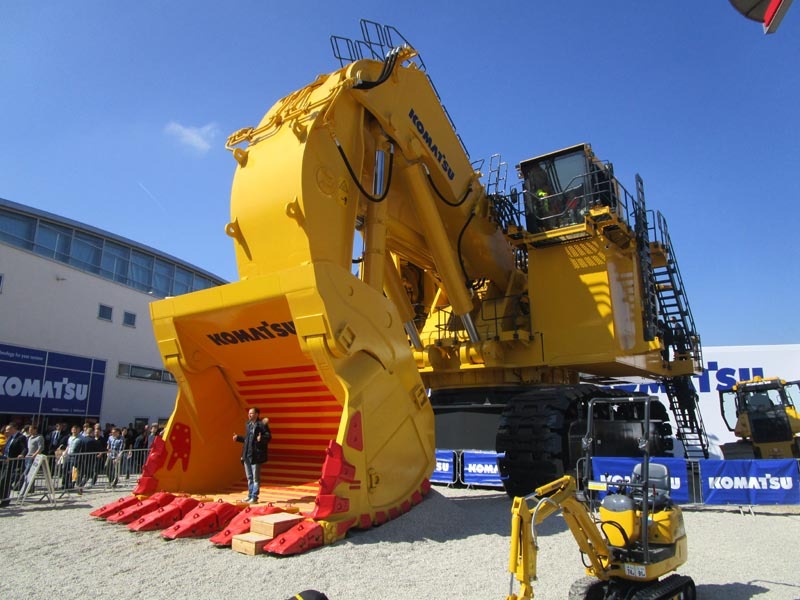 Please find below some impressions from our visit to the largest building-,construction- and mining machinery fair in the world in Munich this week. Always a great experience and eye opener ! 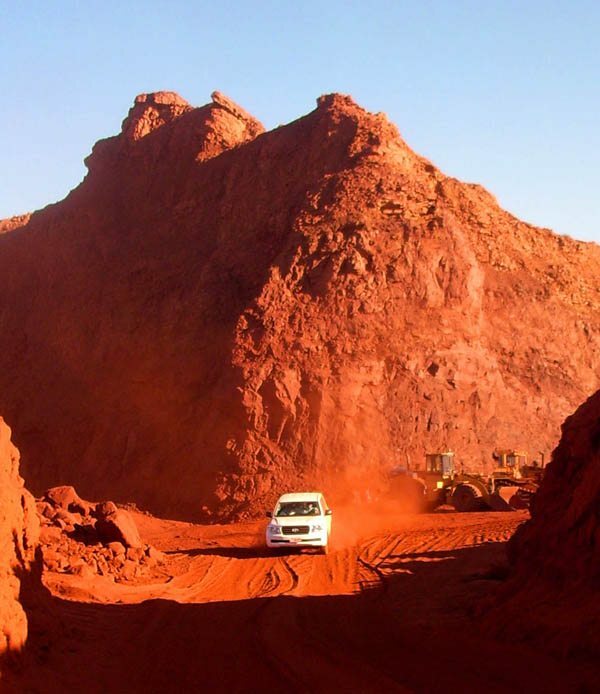 Since more than 5 years our collegue Horst Bittner publish a weekly mining newsletter, covering a wide range of mining related topics on a global scale. Now we are offering these information packed mining newsletters as free download for your perusal. Please go to the new "Mining Newsletter section" to download the most recent numbers. January, 1st 2016 : Happy New Year 2016! We wish you all the best for the New Year 2016 : health, personal success and - most important - a peaceful 2016 ! 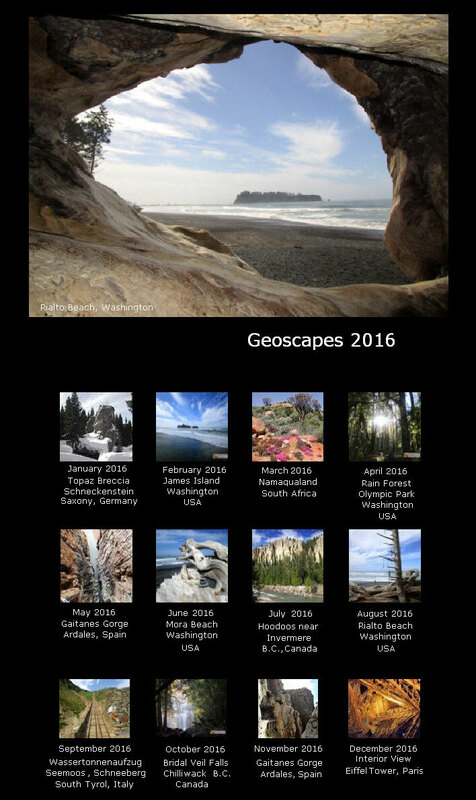 Today we present you our new Desktop Calendar Geoscapes 2016, more details of which you can find here. Any of the selected twelve images can be downloaded as desktop background / wallpaper to your computer and used freely and free of charge. Please dont hesitate to share any of the images with your friends and colleagues. We appreciate your feedback, which you can send us here. Enjoy the images ! 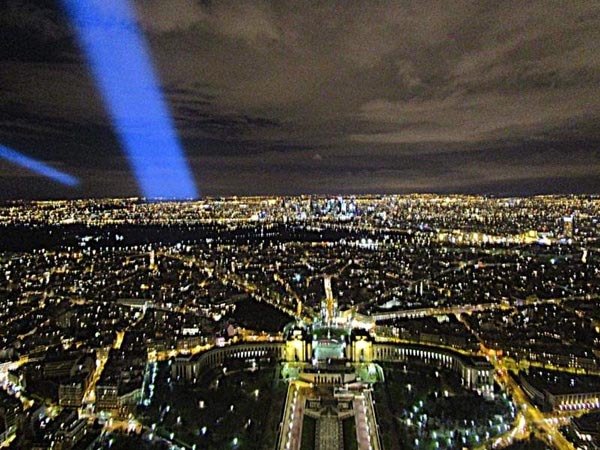 December, 21th 2015 : Merry Christmas 2015 ! We wish all clients and friends a Merry Christmas 2015. May the health and success be with you in 2016 ! 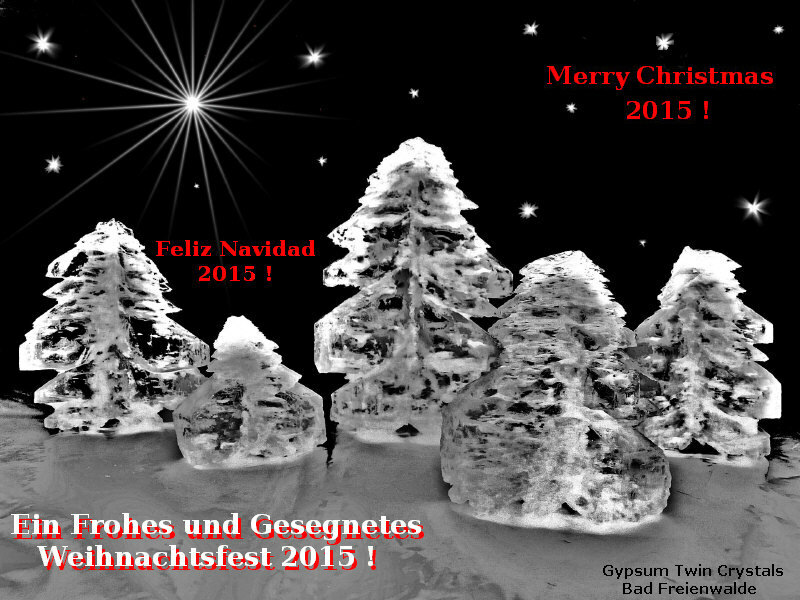 The Christmas Tree 2015 image above shows twinned gypsum crystals from the Bad Freienwalde area, Brandenburg, Eastern Germany. The crystals have been carefully arranged to form a spectacular Christmas Forest. Photo kindly supplied by Mr.Gerhard Rötz. 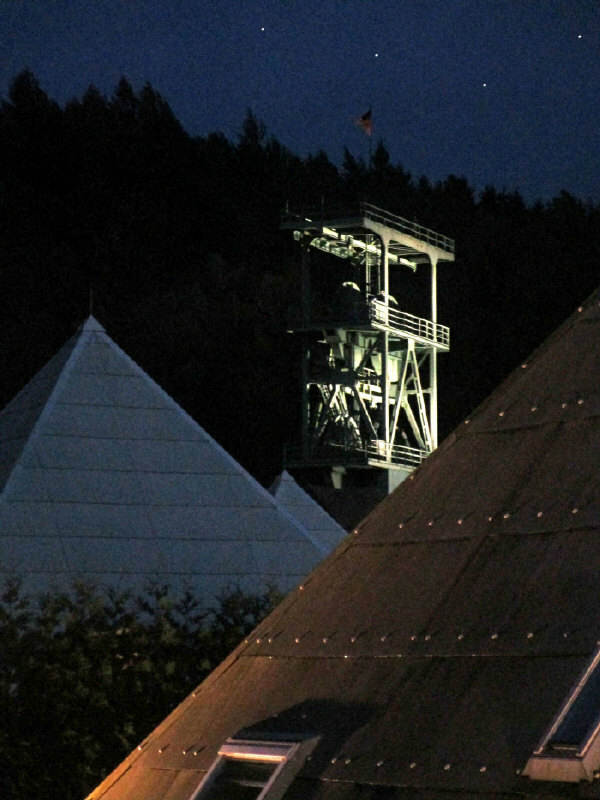 The Meggen mine in the Sauerland / Central Germany was one of the most important European baryte & zinc mines until its closure in 1992. 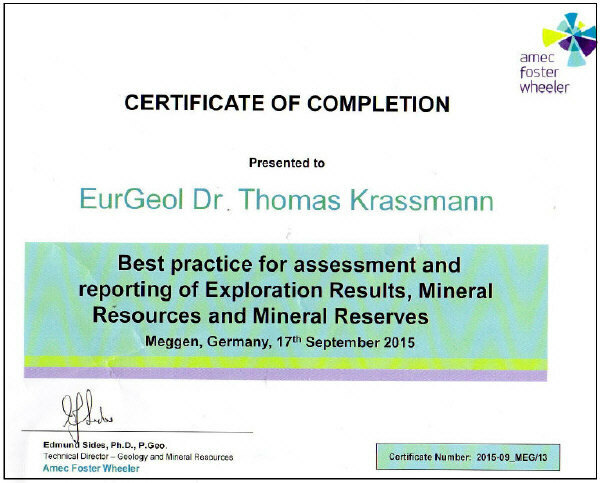 This year the mining geology tradition of Meggen was revived by the 1. Meggener Rohstofftage from September, 17th to September, 19th 2015. 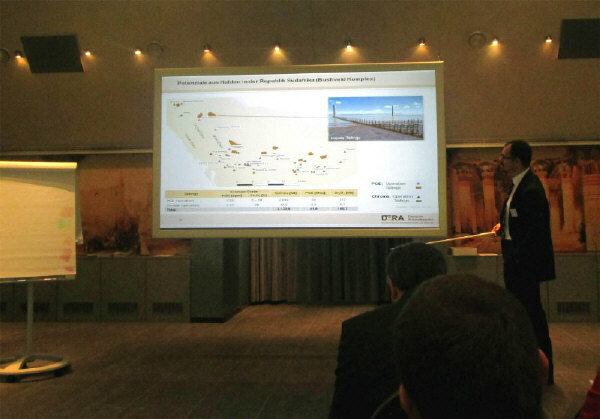 The symposium was held in the Sauerland - Pyramiden and was jointly organized by GEA / Sachtleben and Tracto-Technik under the patronage of BDG, the german professional organisation of geologists. 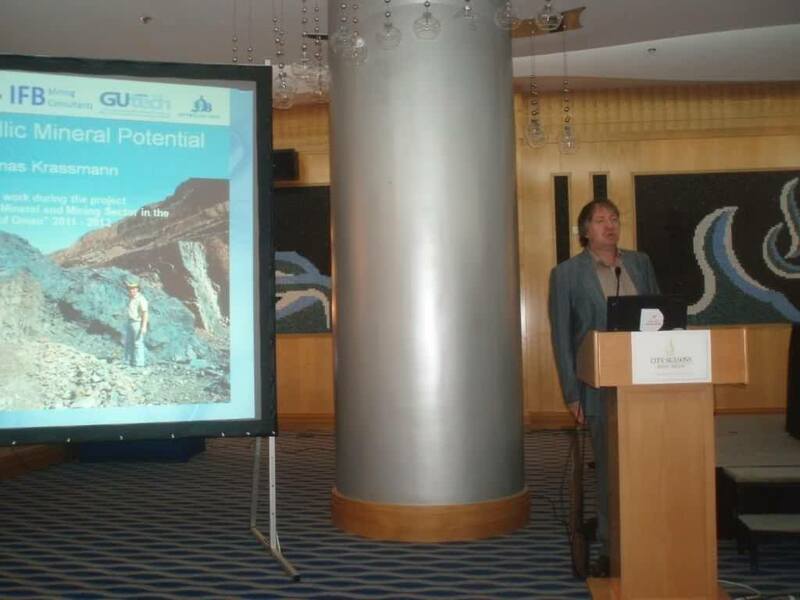 During the first day a workshop was held on Best Practice PERC, NI43-101 and JORC reporting, while on the second day a number of presentations were given on current mineral exploration projects in Germany. 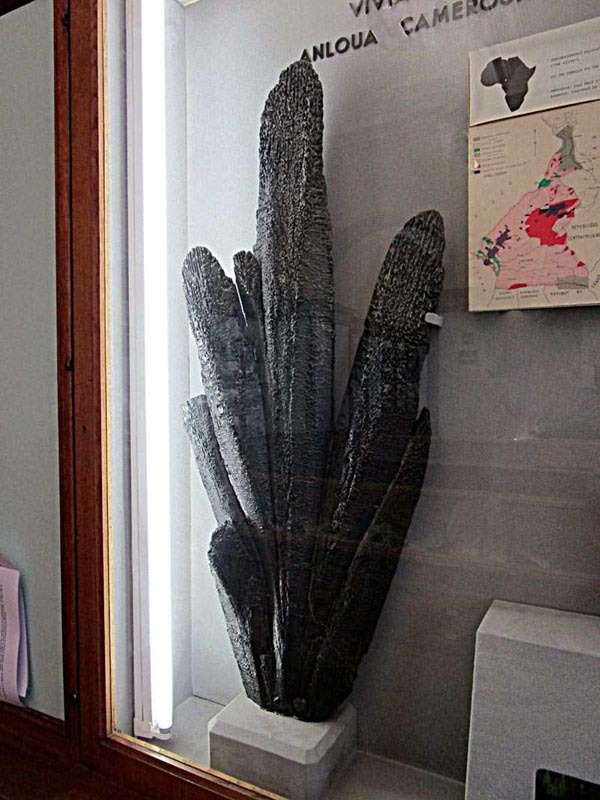 swamp locality in Cameroon, excavated by Ecole de Mines mineralogists. Five years ago, in March 2010, this website went online, at that time much smaller than now. Five years and many interesting projects later we celebrate this 5 year mark with publishing for the first time images from our large geo-archive. Please click here to access our new geo - galleries and enjoy. Your feedback is highly appreciated. 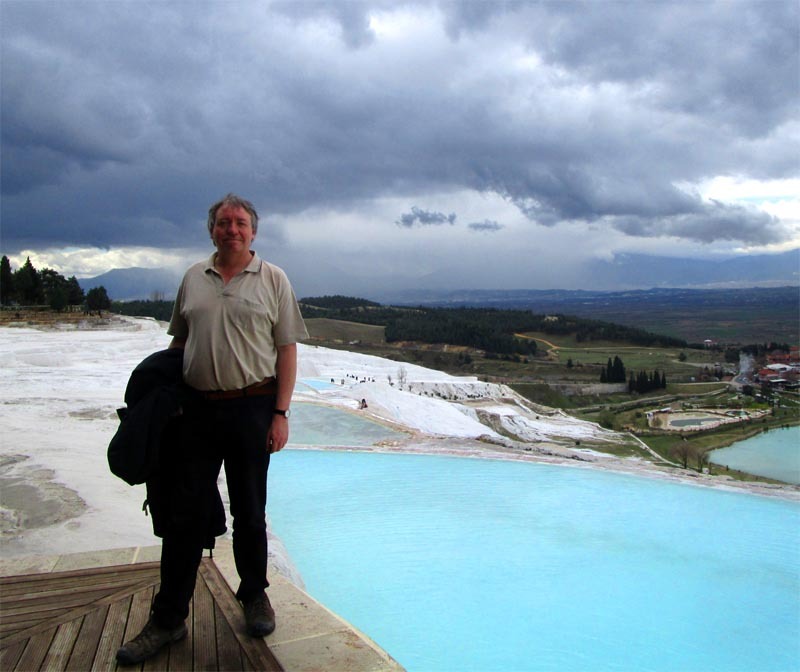 In December 2015 we had the opportunity to have a look at some mineral deposits in Albania, which is a geologically fascinating country with huge mineral potential. 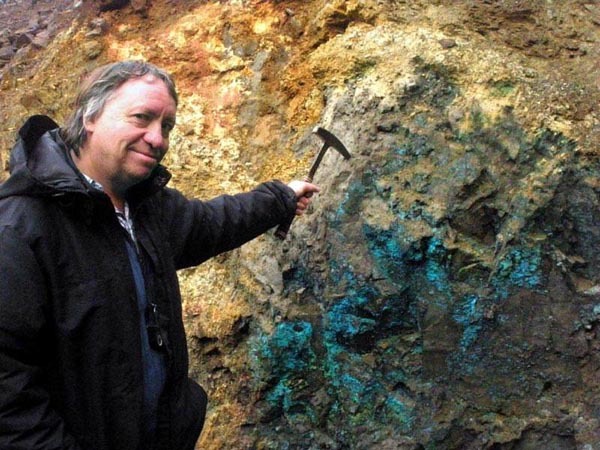 Here we show two photos of a massive sulphide mineralisation with typical blue copper sulphate weathering. Please also have a look at the new global tin and antimony maps mentioned above, which you can find in the map section of our Publication area. December 19th, 2014 - We thank all our Friends, Collegues and Partners for your friendly Cooperation in 2014 and wish you all a Merry Christmas and a sucessful and blessed New Year 2015 ! 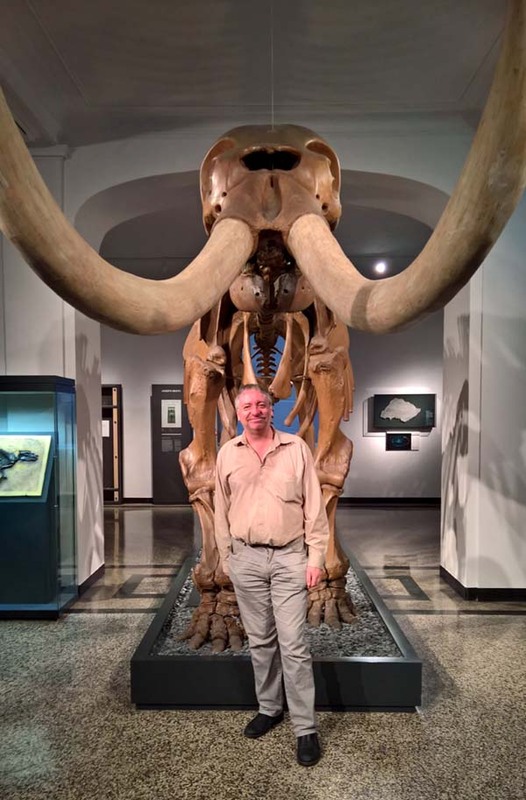 In the last days we have done a bit of work on this website : A bit of updating here : see references, a bit of streamlining there and a lot of translation into spanish language thanks to fellow geologist Matthias Jurgeit. Matthias, thank you ! 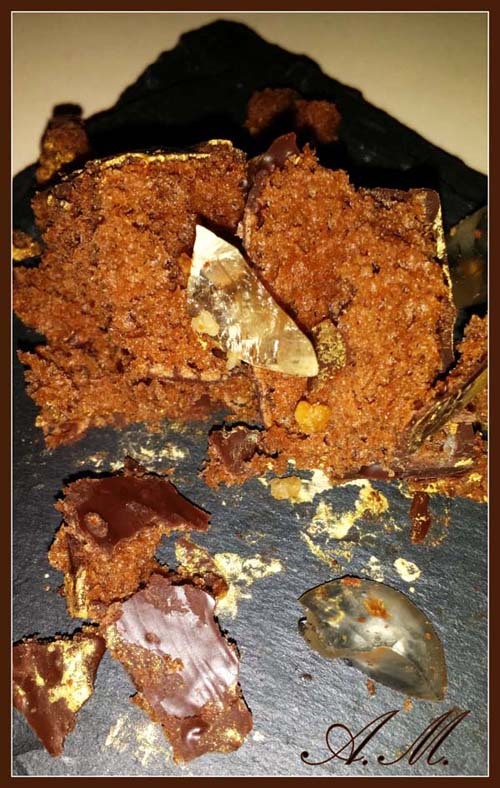 November 14th, 2014 - Kimberlite Cake ! A few days ago I celebrated my birthday ! The wife of a befriended spanish geologist made me a very special present : a Kimberlite Cake, with embedded diamonds ! 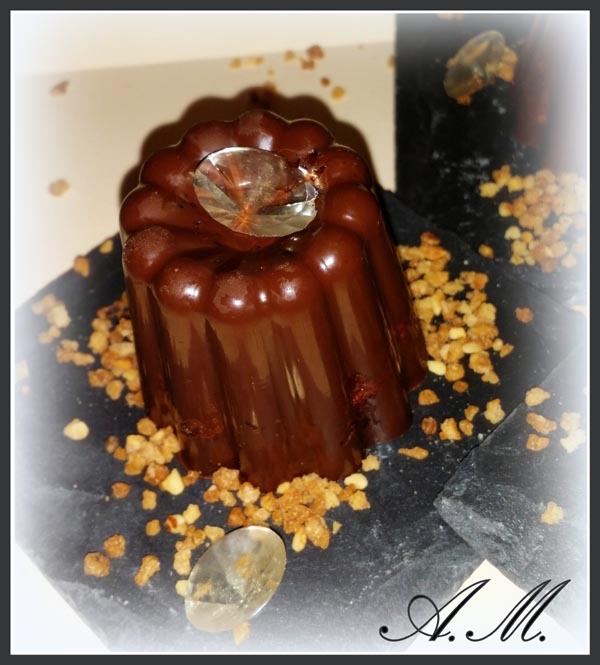 For more information about the cake and how to make it, please have a look at Lady Héloïse´s website at http://www.lacocinaromantica.com, where you can also find a lot more of lovely cakes. Buen Provecho ! 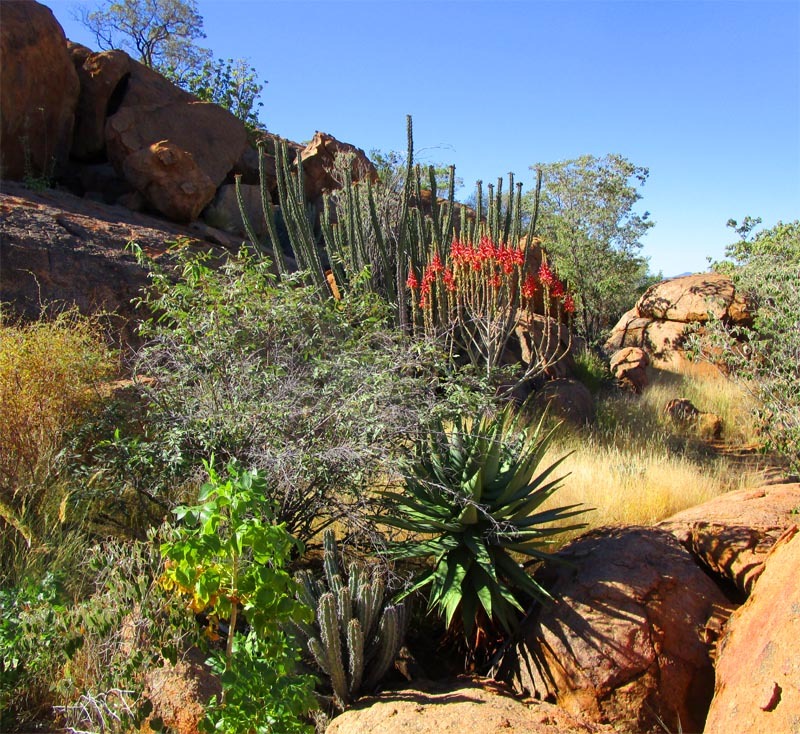 About a month ago I gave a talk about the geology and mineral potential of Namibia in Bochum. You can find the online version of this presentation at our publication site or here and here. For shorter download times the large file has been split into two parts. 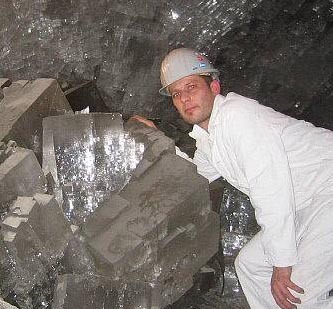 Also added some material about giant olivine crystals in Seberged / Zabargad island in Egypt, giant salt cubes in the Merkers Mine, Thuringia , Germany and about equally giant vivianite crystals in Cameroon, all of which was originally written for the Giant Crystal Project back in 2005 - 2007. 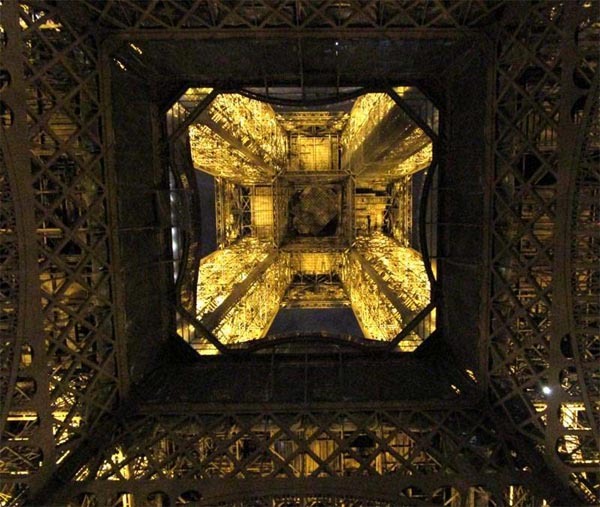 Enjoy the spectacular images ! 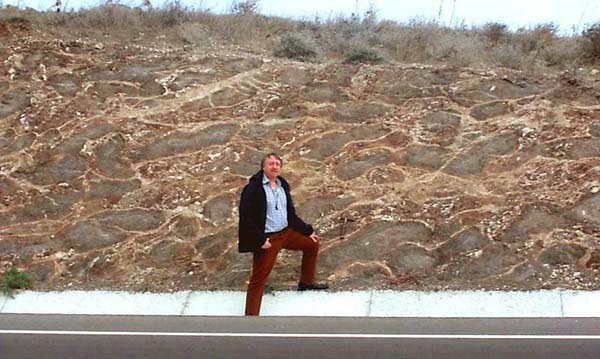 A few months ago we had the opportunity to visit some outstanding pillow lavas in Northern Cyprus (see below). 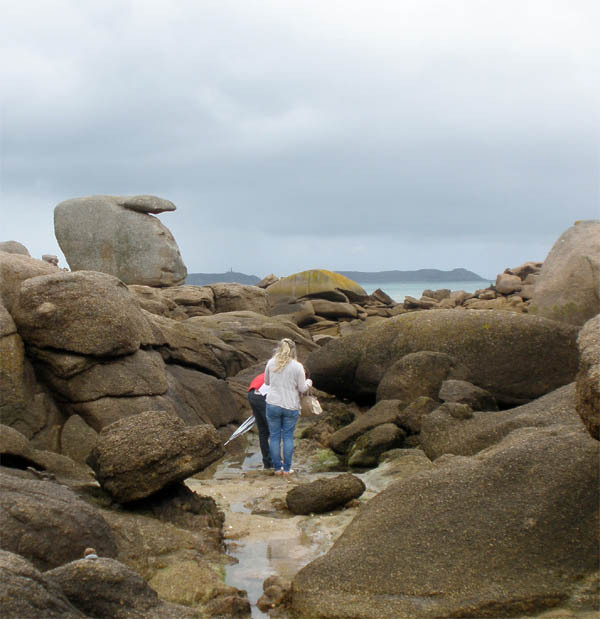 This summer we were fortunate to see some extraordinary "pillow granites" in Brittany. 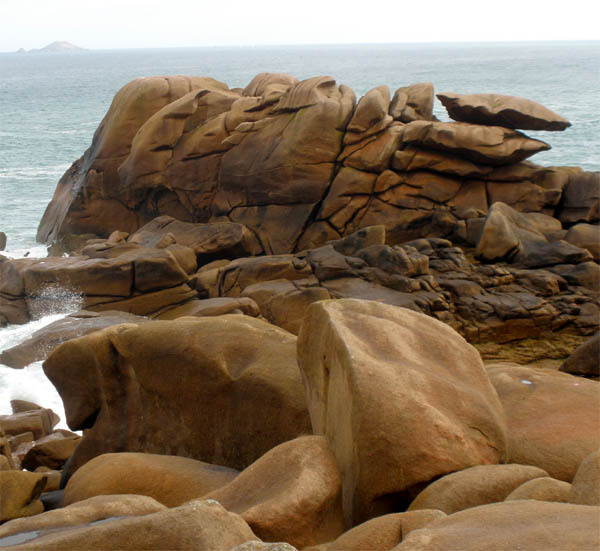 The scientific term for these round structures, which are typical for granite weathering, is exfoliation. 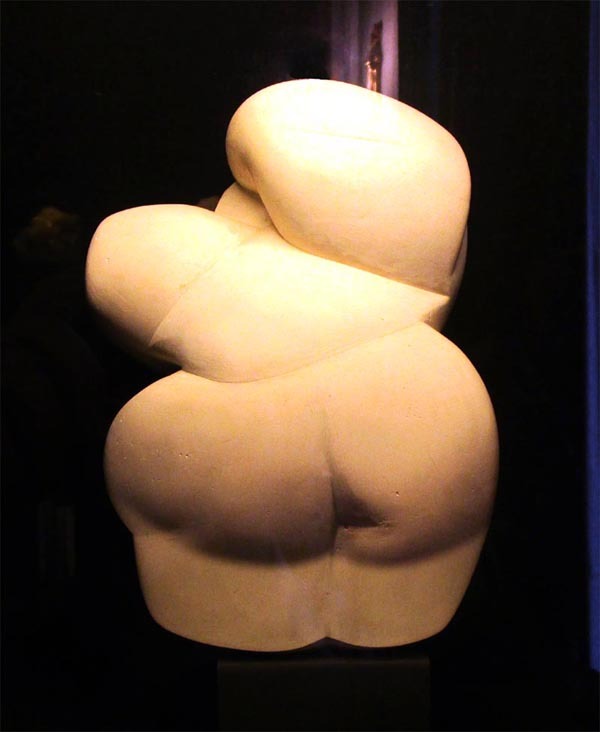 In german geology another perfectly fitting term is used "Wollsackverwitterung" which translates to "wool sack weathering". 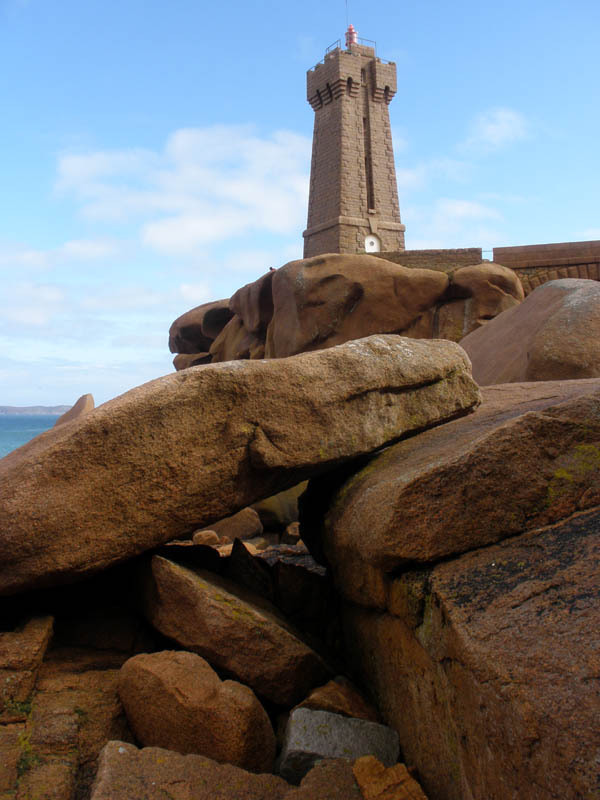 Indeed the granite often looks like wool sacks piled above each other. 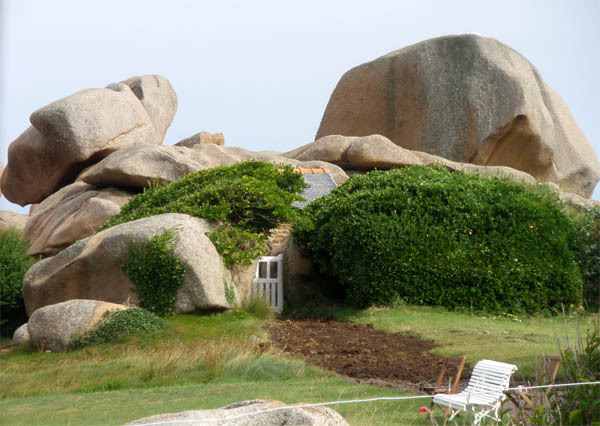 While beautifully sculptured granites are not that rare, they are mostly found in inland areas far from the sea. 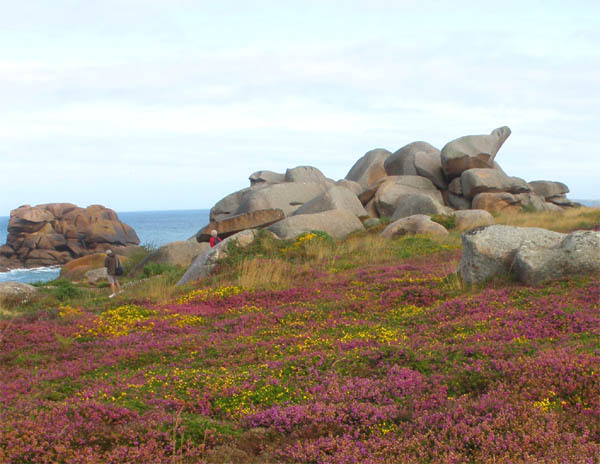 Here we show some scenic examples from Ploumanach in Brittany. Enjoy ! 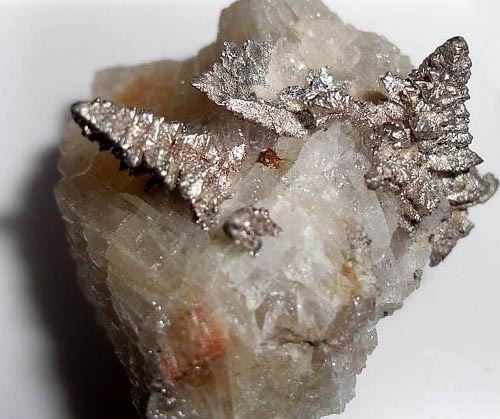 For almost 10 years we have compiled a massive database covering the whole spectrum of mineral commodities, metallic-, non-metallic and energy mineral potential as well as about individual mines and regional mining information. ECO-MINE Economic Mineral Database currently hosts about 100.000 full text searchable data files, giving you easy access to a wealth of relevant mining and mineral related information. We are now able to offer search services of our ECO-MINE Database to a broader audience. Please have a look at our Publication Site to see a presentation of ECO-MINE. 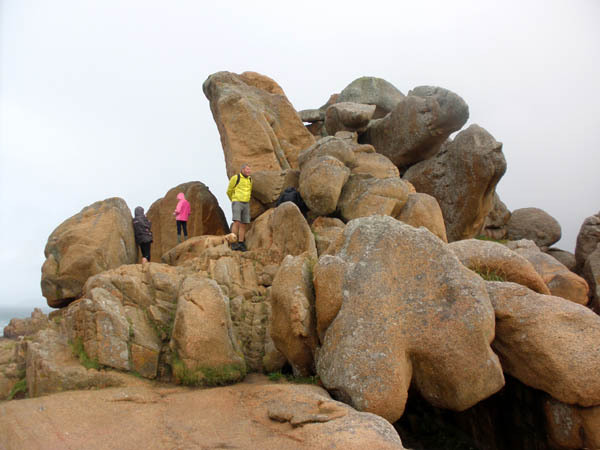 Two new english language publications online about the Namaqualand / South Africa mineral deposits, based on a somewhat "historic" field trip in this region back in 1988 "Resource Appraisal, Target Generation and Exploration Methodology within the Namaqua Metamorphic Province" as well as a photo - report about a much more recent due diligence / assessment of antimony deposits in "The Cam Pha Antimony Belt in Northern Vietnam". There is also a new map available covering "European Potash Mines / Producers and Development Projects 2014". As always, please have a look at our publication site to see and read these map and papers. 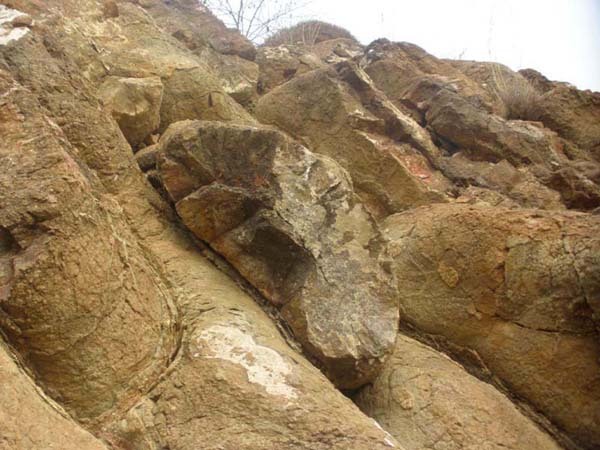 Pillow Lavas are basaltic lavas, which have formed by submarine lava flows, which solidified in a very typical manner called “pillow structures” or simpler “pillow lavas”. While pillow lavas are a not so rare geological phenomen, most of the occurences are not really spectacular. However some weeks ago I had the opportunity to visit Northern Cyprus and came about a little known area around Balalankoy / Platanissos where there are virtually mountains of excellently developed pillow basalts in a text book like fashion! 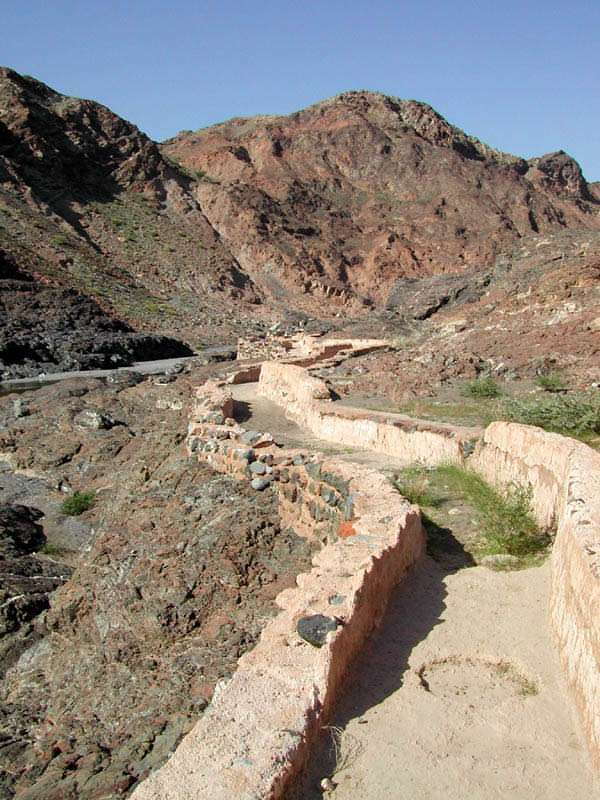 More, there is also a long fresh road cut running through this volcanic suite, exposing the whole geological sequence for about 2 kilometer length! Worth a visit and well worth some more geological research...there is even a gossan nearby indicating copper mineralisation. For more information please send us an email. 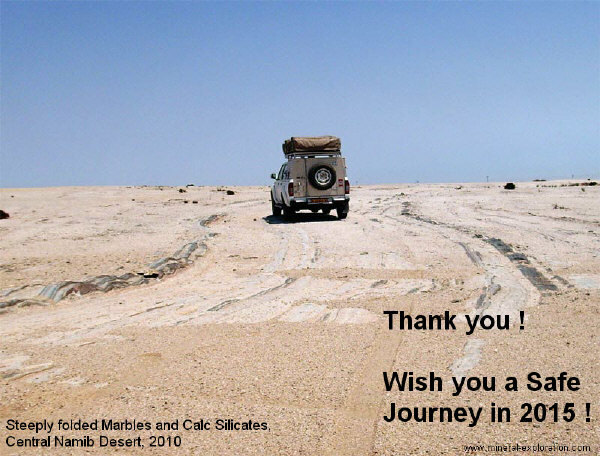 December 19th, 2013 - We thank all our friends, collegues and partners for your friendly cooperation in 2013 and wish you all a Merry Christmas and a sucessful and blessed New Year 2014 ! A report on a field trip into the famous Rammelsberg Mine near Goslar, Harz Mountains shortly before its final flooding anno 1994 and a more general text about "What is an Exploration Geologist doing ?". Also there is a new map available covering Active Fluorspar Producers in Europe The author wishes happy reading ! Please click here, to see other available publications and maps. May, 3rd 2013 - 20 Years of Hydrobüro / Mineral & Exploration Dr. Krassmann ! 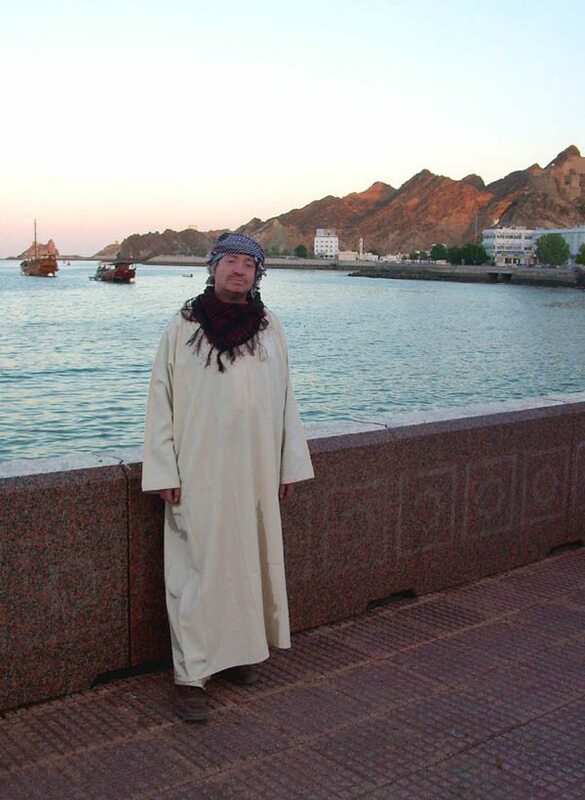 In the first days of May 1993 Dr. Krassmann - at this time based in Rodenberg am Deister / Northern Germany - started his consulting business Hydrobüro, to supply services in the fields of geology, mineral resources and mining. These days we can celebrate 20 years of sucessful consulting work, since already 10 years in Bad Windsheim / Northern Bavarua. 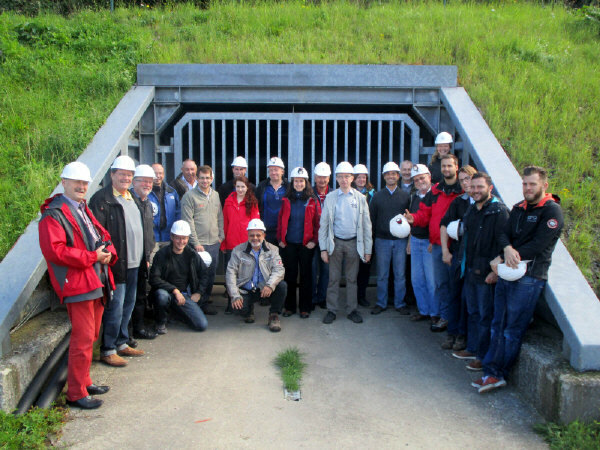 As always, we had a nice celebration with a lot of friends and collegues, including a field trip to the "Donaudurchbruch" at Weltenburg monastery and to a prehiszoric flint / silex mining area near Abensberg. January, 9th, 2013 - We wish all our friends, colleagues and clients a good, sucessful and peaceful New Year 2013 ! 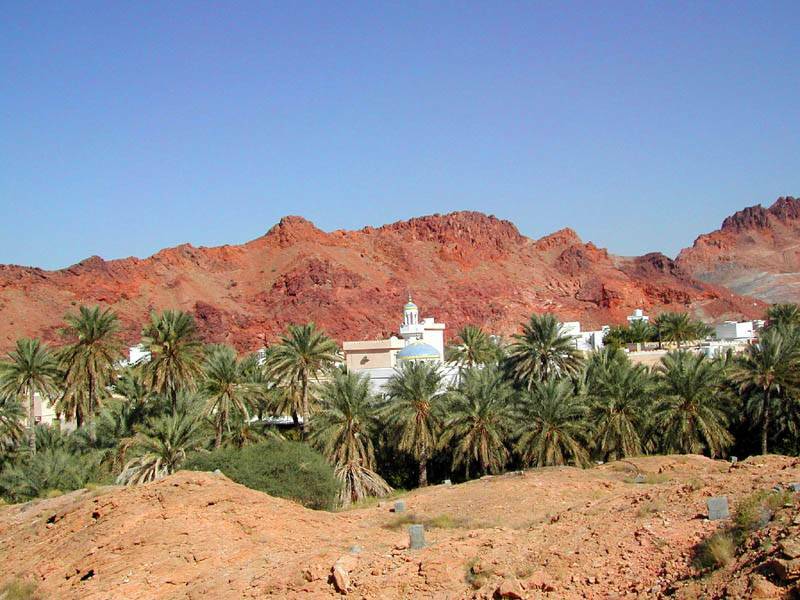 Falaj - The art of irrigation in Oman, still widely used ! Assessment of a laterite mine, a very dusty work indeed ! 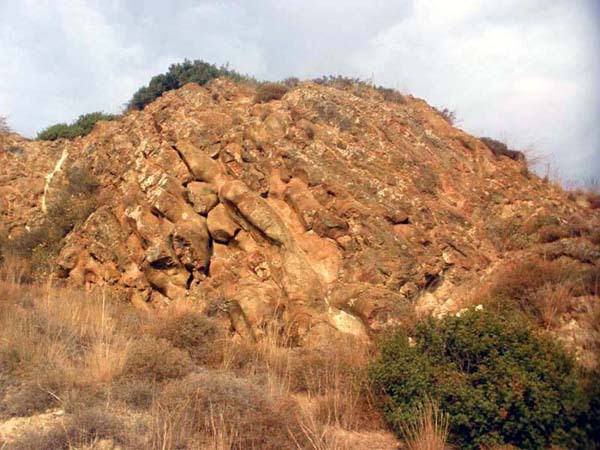 Two new publications online about "Central Anatolia / Turkey Geological Field Trip 2002" as well as about "Underground WW II Installations in Southern Lower Saxony, Germany". There is also a new map available covering "Global Graphite Mines and Producers 2012". As always, please have a look at our publication site to see and read these map and papers. February 1st, 2012 - Sorry for being late, but nonetheless we wish you indeed a good and sucessful 2012 ! Please find two new publications on our website covering underestimated hazards of vulcanic dust emissions on european energy supply as well as the fourth and last part of the (coal) mining series in the Schaumburg area. Please have a look at our publication site to read the papers. A new improved and updated list of reference is available here. In the last few weeks we had the opportunity to visit several mines and mineral deposits both in Slovakia and Slovenia, so I took the chance and prepared two new maps about the current state of mining in both countries, which you can find down at our publication site. 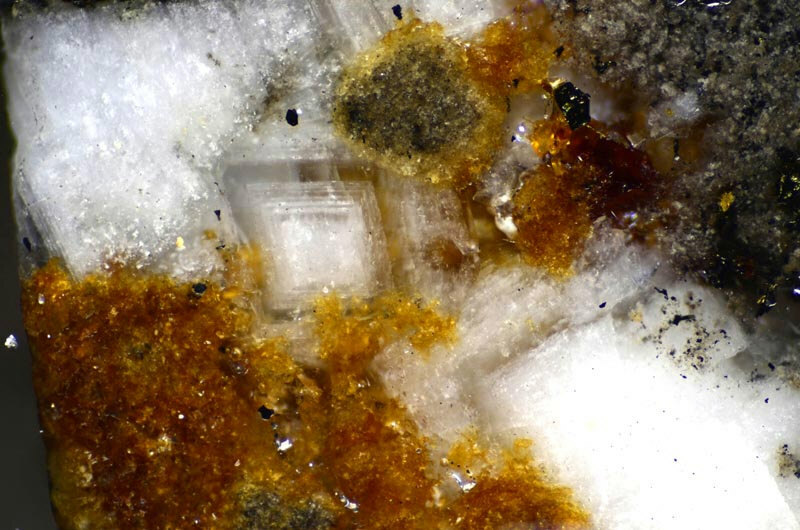 The Wölsendorf fluorspar ore field in Northern Bavaria used to be the major fluorspar mining region of Western Germany and in fact one of the major world producers of fluorspar until its closure in the 1980ies. 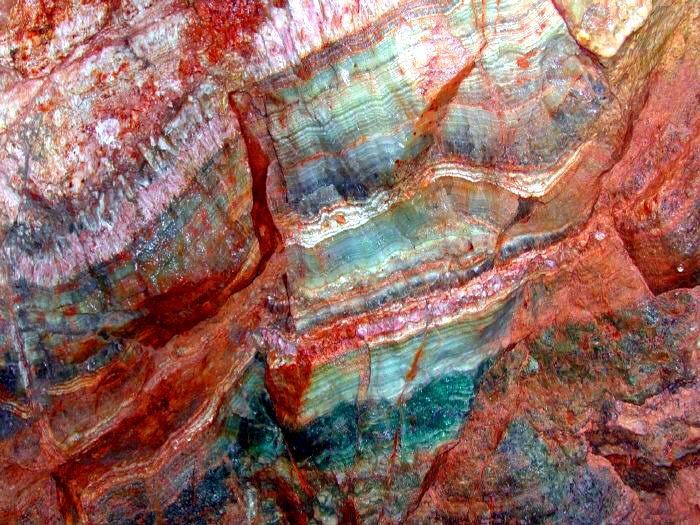 Luckily, some spectacular colourful fluorite veins have been preserved for posterity in the Reichhartschacht mine. Please take a virtual tour here or at our publication site. Please have a look at our publication site. December 6th, 2010 - We thank all our friends, collegues and partners for friendly cooperation in 2010 and wish you all a Merry Christmas and a sucessful and blessed New Year 2011 ! In the last three months we worked amongst others on the following projects : Reconaissance of a gold deposit in Hungary; Advice on filler deposits in Southern Africa; Assessment / Due Diligence of rare metal deposits in Vietnam. End of 2010 a german mining magazine will publish a special edition on gold deposits and gold potential in Germany. We were asked to contribute a paper on "Primary gold deposits in Germany", which we are preparing right now. Added two new geological publications about Lanzarote / Canary Islands and economic geology & mineralogy of southern Namibia and adjoining Northern Cape / RSA. Also added two maps documenting potash and salt mining as well as gypsum and anhydrite mining in Germany. Please click here to access the publications and maps. 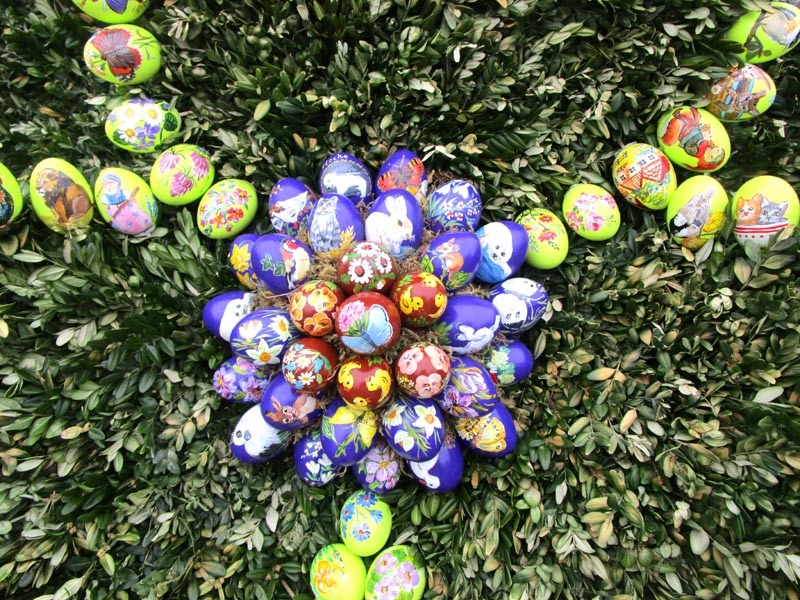 April 1st, 2010 - A happy Easter to all our visitors, friends and business partners ! 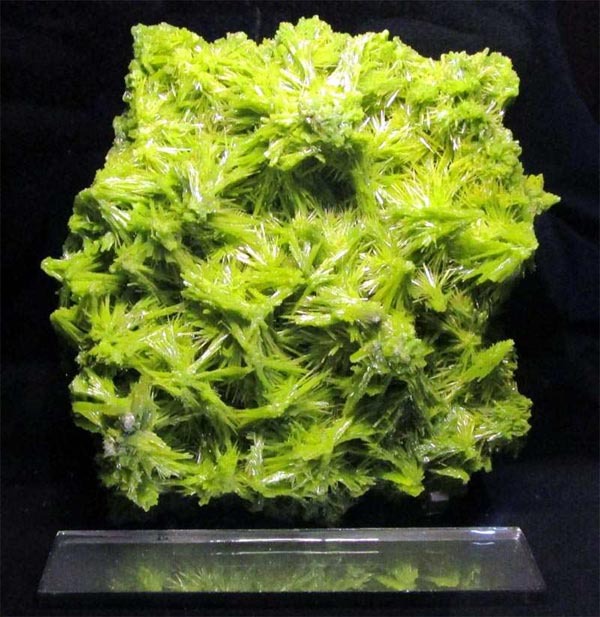 Added two new publications about emerald prospection in Egypt back in 1994 and about the geology and coal mining history of the Schaumburg County in northern Germany. Also added several maps documenting the availability and scarcity of various strategic metals, especially in the EU. Please click here to access the publications and maps. Our new website is online. Your comments and feedback is highly appreciated. Contact us here.